Most of the opening keynote for Microsoft TechEd 2014 focused on new and upcoming features and capabilities for Azure, Microsoft’s cloud platform. The one thing that impressed me most, though, was the demonstration of Office Graph and the value of ‘Oslo,’ a standalone app Microsoft is currently developing. 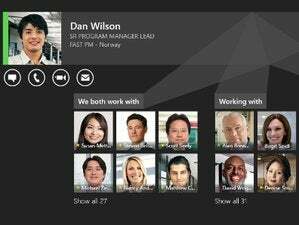 Microsoft initially showed off Oslo at the SharePoint Conference back in March. The app is basically a front end for Office Graph built to display—or “surface” in Microsoft parlance—relevant information. 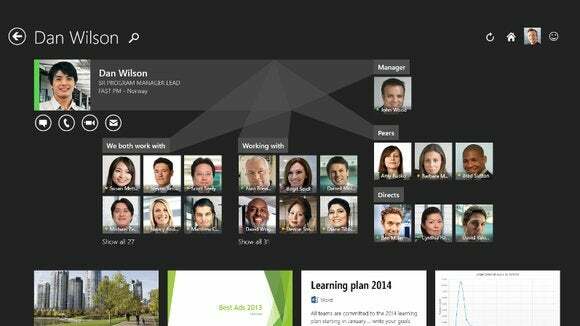 Office Graph already knows what meetings are on your calendar, who is presenting, where on the network the presentation is stored, and who you’ve been communicating with regarding the event. Oslo presents the information it believes is most relevant to you, but it also allows you to filter content to easily find what you need. You can choose from a variety of options including presented to me, modified by me, liked by me, shared with me, trending around me, and viewed by me to narrow down the options. The filters in Oslo make sense because they work the way most people think when trying to locate a specific piece of information. For example, you may not remember what it was about, or who sent it, but you know it was something someone shared with you. Oslo and Office Graph combine to create sort of a personalized search engine—one that doesn’t search based solely on keywords, but learns about you so that it can search more intelligently to find the information that is most likely to matter to you. Functionally, Oslo reminds me of Google Now, or what Siri should be if Apple wants to keep it relevant. The trend is toward tools that don’t just archive and search data, but intelligently and proactively manage information. Microsoft, Google, and Apple may be leading the charge in this area, but these tools are a sign of the future of information. That wall between technology and privacy is crumbling—not in a scary way that violates your privacy and exposes your data without your consent, but in a way that allows you to establish a relationship with a trusted vendor and that vendor is able to provide significantly greater convenience and value for you. Microsoft has not made any announcement regarding when Oslo will be available. When it does, though, it will change the way you interact with and use information.